You may not be a professional speaker, but there's no reason not to act like one. If you want to get speaking engagements to promote your business, for example, you are more likely to be invited if you have a professional presence. Just because you're not a pro, it doesn't mean potential organizers are going to let you get away with bad practices, and you will not be invited back -- if you are even invited in the first place. Here are some tips to appear professional and look like you know what you're doing. If you want to be taken seriously as a business owner you must use your own domain for e-mail. You must have a website (or blog site) and you must stop using Gmail, Yahoo and Hotmail for your e-mail address. Period. People who will ask you to speak want to get to know you a little. Your website is your calling card. Who are you? What are you all about? What's your style and personality? Using stock photos to populate your site doesn't make you look professional, it makes you look generic. Be somebody! Show your face. You must be respectful of your prospects and return their messages in a timely manner. Taking a week to get back to someone is not professional, and people will move on to someone else if you come across as unresponsive and unreliable. I know this sounds like something a therapist would say, but bear with me. Visit the event space in advance to see how the room is set up. If you need a microphone, say so. If you need the room configured a certain way, say so. If you need a table for your notes, say so. In order to make your presentation as effective as it can be for you and for the audience, you must speak up and let the organizer know what you need. It may not be possible to get everything you need, but you must at least make the effort. I know, I know. Easier said than done. But who knows more about your business than you do? You don't have to know everything about everything. Just show your passion and excitement for what you do. Stand tall. Breathe. Make eye contact. Don't apologize for anything. Let your expertise shine and share your best tips. Make your presentation all about giving value and practical tools. That's all your audience wants. Get out of the cage and own the stage! Give yourself plenty of time to set up and meet people before you speak. Mingle with the crowd, introduce yourself, make friends. And afterward, don't run right out the door if you can help it. Stick around, thank people for coming, answer questions. Of course, if you want to look like a prima donna, arrive at the last minute and then leave without talking to anyone. I'm not going to give specifics on color or skirt length. You can find lots of articles on the web about what not to wear. What I will say is that you should find out the purpose of the meeting and what your audience will be wearing, and then make sure to be dressed as well as or better than they are. Audience is casual? You be business casual. Audience is business casual? You be at least business casual, if not a little dressier. It's always okay to be dressed up a little more than the audience, but it's not okay to be inappropriately over- or under-dressed. Most important, dress in a way that's comfortable and authentic to who you are. 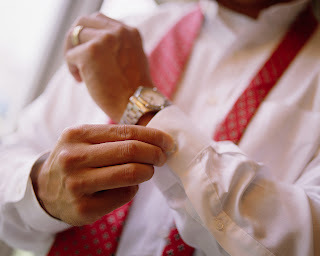 Dress appropriately to your business, your message, and to your personal style. I've seen speakers in pretty wacky outfits, but it fit their message and style and was perfectly appropriate. I've also seen way too many speakers in boring dull-colored suits and it didn't do them - or me - any favors. Have you had someone proofread your materials? Are you giving handouts with misspellings or poor grammar? And how about your own language? If you put out poorly edited materials, what is the audience supposed to think about your services? If you can't take the time and care to put out professional materials, why would a prospective client expect quality work from you? If you know your spelling isn't great, get someone to proofread. Another pair of eyes will help you find the mistakes you're overlooking. If there are words you aren't sure about, check the pronunciation online. At many dictionary sites, you can even listen to audio of the word pronounced properly. I recently listened to someone introduce her business, mispronouncing a key descriptive word several times. It was painful. This is an example of a time when videotaping or audio recording would be helpful. Or at least have a friend or colleague sit in on your presentation or practice session to give feedback. Make sure to acknowledge your host and express your gratitude for the opportunity to speak to their group. Remember: Without an audience, there is no speaker! The more opportunities you have to promote your business through public speaking, the more comfortable you will become with the professional aspects of booking these engagements. The more you present yourself as a professional, the more opportunities you will have to promote your business! Amazing Lisa - I was JUST contacted by a "recruiter" using a hotmail account and whose website has a TON of generic stock photos (some of which have no connection to the industry they claim to be in). As someone being approached by a business like this, it's an immediate "turn off" - people DO need to make their business approach more personalized and less generic...consumers smell fakeness! That is such a turn-off to me too, Kristiana. Seriously, getting yourself your own domain with an e-mail account is so cheap these days, there's just NO excuse not to have one.